After spending the last few weeks studying the history of saltpeter manufacturing around the world, we will spend some time today studying another component of gunpowder: charcoal. We actually studied this topic briefly when studying about black powder many months ago. We will revisit this topic in more detail today. Strictly speaking, the chemical element that is used for gunpowder is carbon, which is supplied by the charcoal. The carbon acts as a fuel in the gunpowder. Since the very early days of firearms, it was found that the quality of charcoal is a pretty important factor in the quality of the gunpowder produced. Therefore the process of manufacturing high quality charcoal was regarded as a closely-guarded state secret. Charcoal made by burning wood in heaps or kilns is not very suitable for gunpowder. Instead, to make high quality charcoal, the wood must be selected very carefully and burned uniformly in ovens or iron vessels. The procedure to do so hadn't changed very much from the fourteenth to the twentieth century. We will look at the process used at Waltham Abbey in England, during the early 20th century. 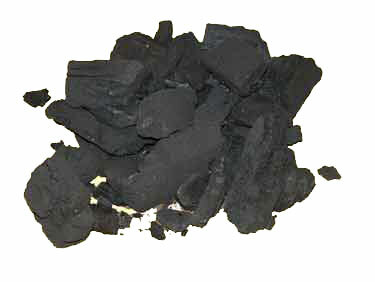 First, the choice of wood for making charcoal for gunpowder: Soft and light woods are preferred, as they leave less ash. At one time, the charcoal for black powder in England was exclusively made from alder wood, but later other soft woods were also used. In England, dogwood was extensively used, especially for small grain powders, and for larger grain powders, alder and willow wood were used, with straw charcoal being used for brown powders used in heavy ordnance; In America, cottonwood, redwood, soft pine and western cedar trees were used; In Germany, alder and willow were mostly used; in Austria, hazel and alder; in Switzerland, hazel trees; in France, dogwood was exclusively used in military and sporting powders, but as it became more difficult to procure, alder, poplar and lime were tried out; in Russia, alder was commonly used; in Spain, yew, oleander, willow, hemp stems and vine; in Italy, hemp stems were used mostly. The trees chosen were usually between two and ten years old. The trees were generally cut down in spring for a few reasons. First, this is the time when trees are the most full with sap, which means the sap is very watery and contains less dissolved salts in it, thereby producing less ash. The second reason is that trees cut down in spring are easiest to separate the wood from the bark, which is good because the tree bark contains a large portion of the ash produced. The wood was seasoned for at least 1.5 to 3 years, to allow most of the sap in it to dry out. The method of doing this varied by location and type of wood. For instance, in Germany, it was customary to keep the wood inside sheds in Dresden, but at Spandau, they kept the wood out in the open. In England, dogwood was covered with thatch, but the willow and alder woods were dried out in the open. After drying, the wood was split into pieces about 3 feet long by 1 inch thick. These pieces were placed in iron cylindrical cases called slips. Each cylinder was about 2 feet in diameter and 3.5 feet long. The lid was fastened to each slip, with two openings (about 4 inches diameter) being left in the bottom of each slip. The slips were then placed in horizontal cylinders, the end of the slip with the openings going to the further end of the cylinder, in which end there were openings corresponding to those in the slips. The cylinders were then lifted with pulleys into a furnace, where they could be heated as uniformly as possible. The cylinders were placed such that the furnace flames surrounded the cylinder entirely, so the heat acted upon the whole surface as much as possible. The higher the temperature and the longer the heating time, the lower was the percentage of hydrogen and oxygen in the charcoal, which made it harder and more difficult to ignite. Therefore the type of wood and the type of gunpowder that the charcoal was meant to be used for, determined how long the cylinders were heated. For instance, to make R.F.G (Rifle Fine Grain) powder or M.G. (Machine Gun powder for Nordenfelt guns) powder in Waltham Abbey, dogwood was heated for abuot 4 hours. Alder and willow for R.L.G (Rifle Large Grain) powder was heated for 3.5 to 4 hours and for P grade gunpowder, it was heated for 6 hours. Smaller cylinders were used, to make the composition of the charcoal more uniform, since high temperature is not needed to carry the heat to the center of the wood pile in each cylinder. However, the use of small cylinders reduces the efficiency and raises the cost of production. In England, most cylinders were only large enough to hold about 80 lbs. of wood. Incidentally, for a given temperature, slow carbonization produces much more charcoal than quick carbonization at the same temperature. Also, the lower the temperature used for carbonization, the lower the temperature at which the charcoal burns. Therefore charcoal made at 260-280 degrees centigrade burns at around 340-360 degrees centigrade, whereas charcoal made at 950 degrees burns at around 1900 degrees. As the cylinders were heated, the volatile chemicals and tar in the wood would be released by the decomposition of the wood. Normally, these gases could be condensed by using a condenser and used to make useful chemicals like lime acetate and wood spirit. However, charcoal produced by gunpowder mills were generally on a much smaller scale that the charcoal used for metallurgy, therefore it was not considered to be worth the effort to do so. Instead, the gases were removed via a pipe and fed back into the furnace, where they could be burnt. Doing this saved a considerable amount of fuel, thereby reducing costs. When the wood was sufficiently charred, the color of the flame would change to a bluish violet, indicating the formation of carbonic oxides. At this point, the furnace is opened and the cylinder is taken out using pulleys and replaced by a fresh cylinder. The cylinder taken out was placed in a larger cylinder with a tight fitting lid and allowed to cool for about 4 hours, until all the fire in the wood could be extinguished. It is necessary to do this cooling out of contact with the air, otherwise the charcoal could catch fire. The charcoal was then emptied into smaller cylinders and carefully picked by hand to ensure that it is properly and evenly burnt. It was cooled in the smaller cylinders for about one to two weeks, to reduce the danger of spontaneous combustion (caused by the charcoal absorbing oxygen from the air), before being sent to be ground. Note that the Spanish Hemp Charcoal has a higher percentage of ash than the others. This is because it was manufactured by burning the charcoal in pits holding about 0.5 to 1 ton of wood each (unlike in England, where each cylinder only held about 80 lbs of wood). Also in the Spanish method, when the wood had carbonized enough, the pit was covered with a woolen cloth upon which earth was placed, which accounts for the higher percentage of ash produced. Inferior quality charcoal was generally used for powders shipped to Africa and Brazil, since the locals there seemed to value the shiny quality of the black powder rather than its shooting properties. In our next post, we will look at some variations of this process used by factories in England, Sweden and elsewhere.